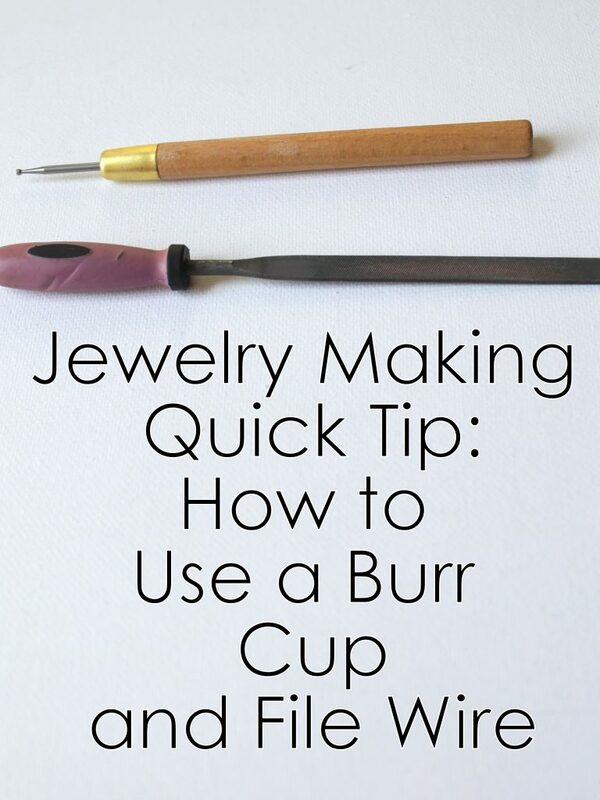 Learn how to get rid of burrs (those little pointy spots) on your wire with this jewelry making quick tip. 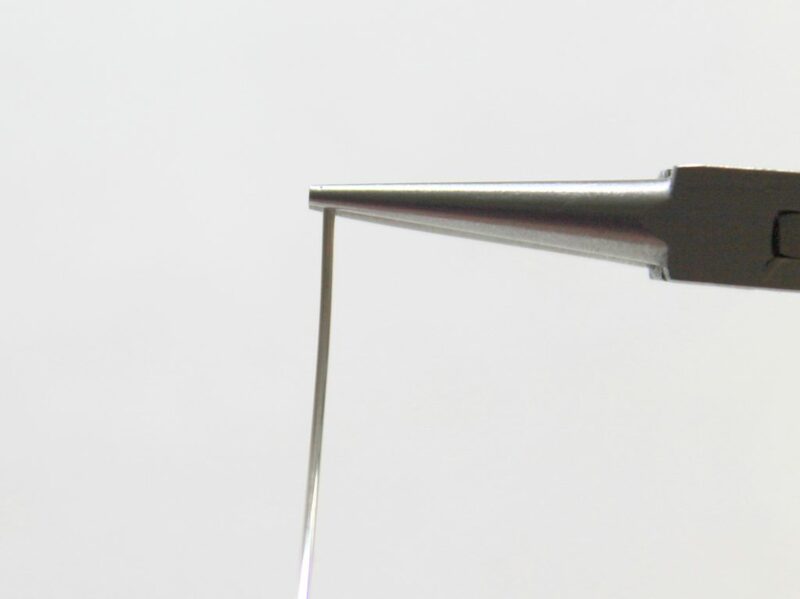 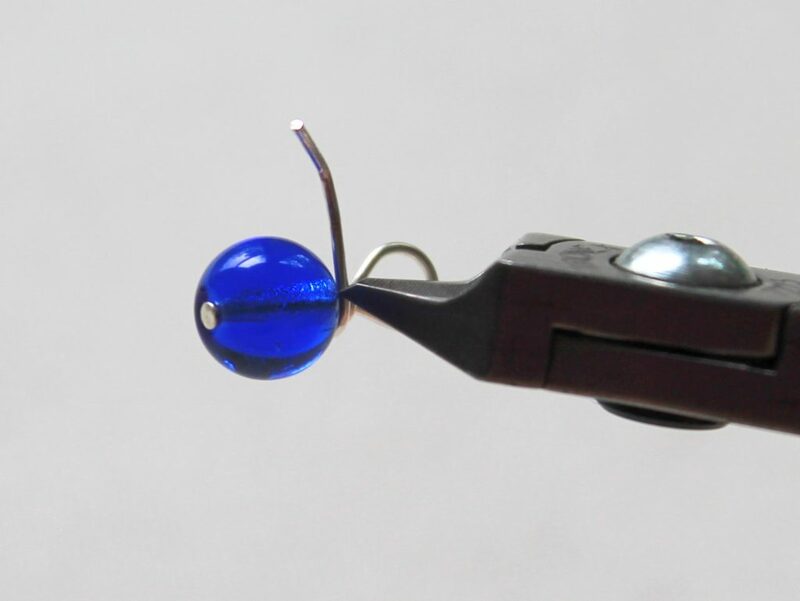 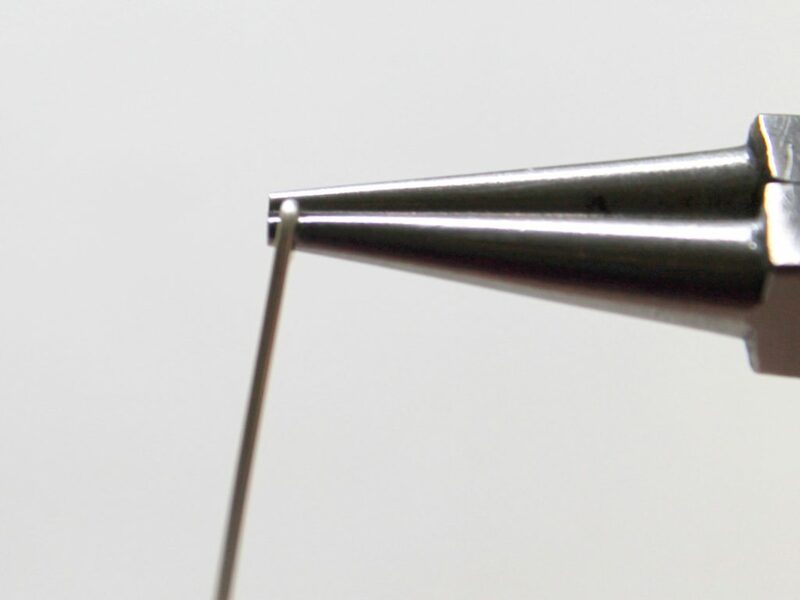 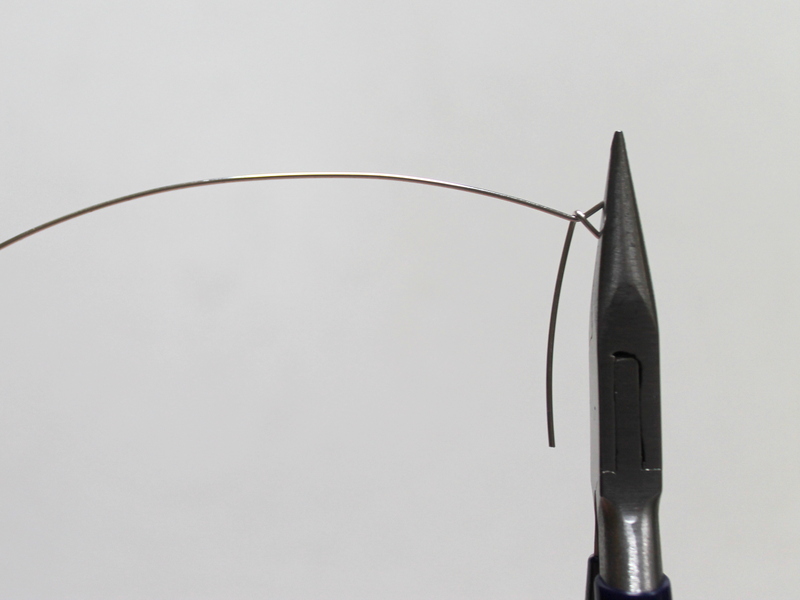 In the video, see how to use a burr cup (also called a wire rounder or deburrer) and a file to make the end of your wire smooth and round. 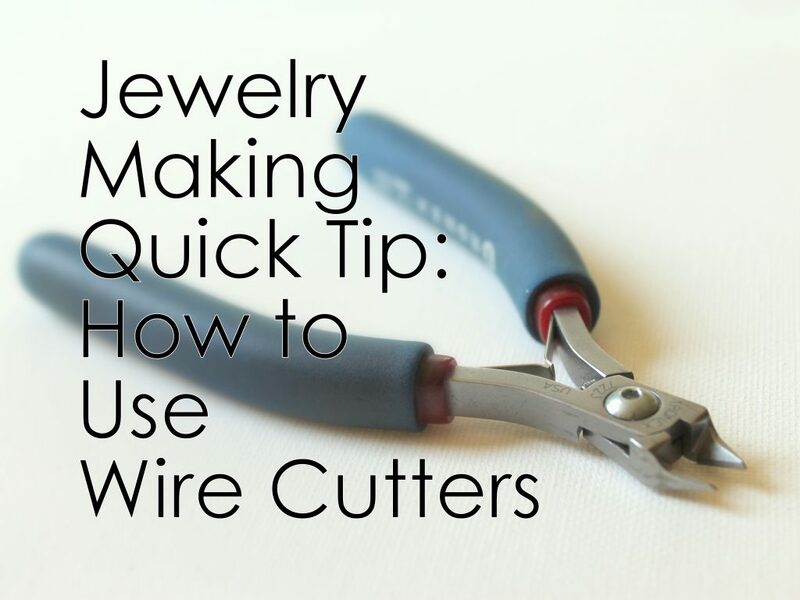 In most cases making a flush cut at the end of your wire is enough. 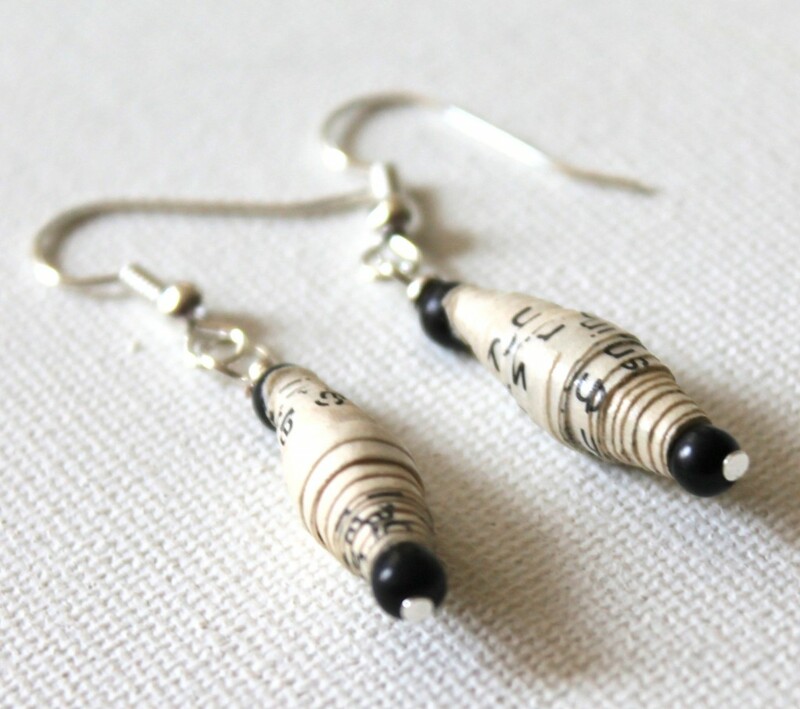 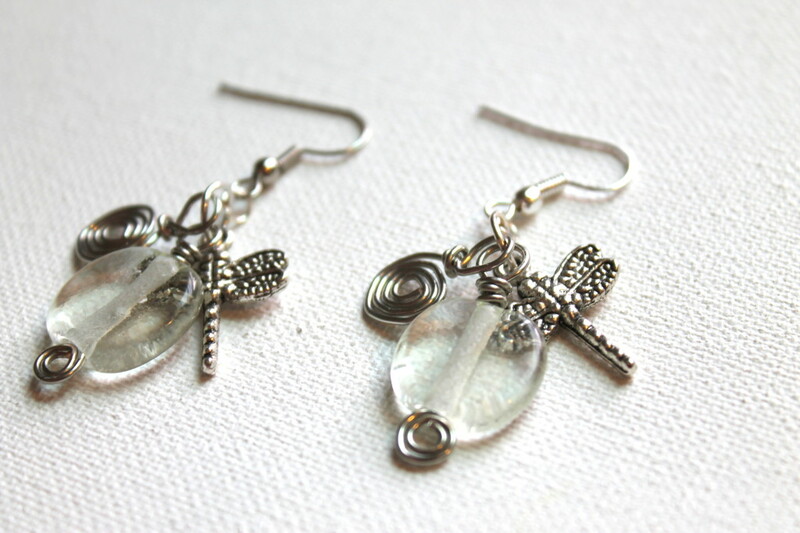 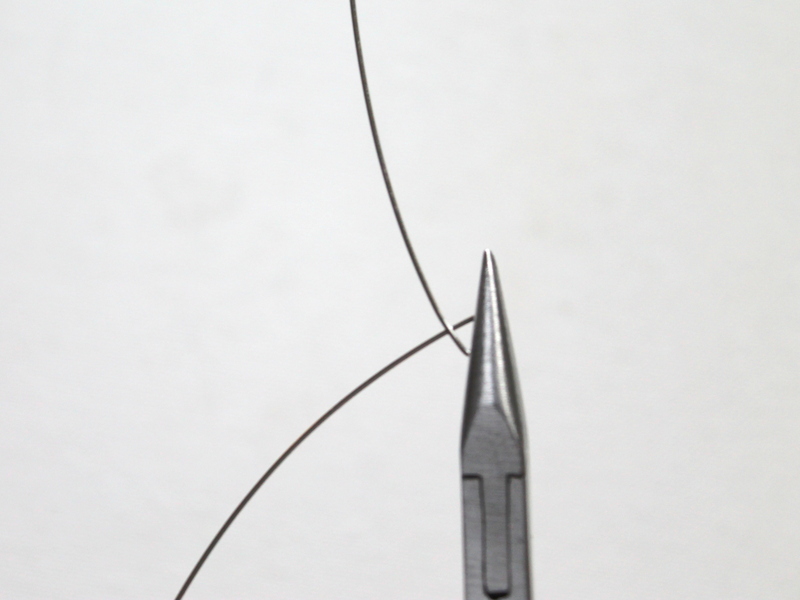 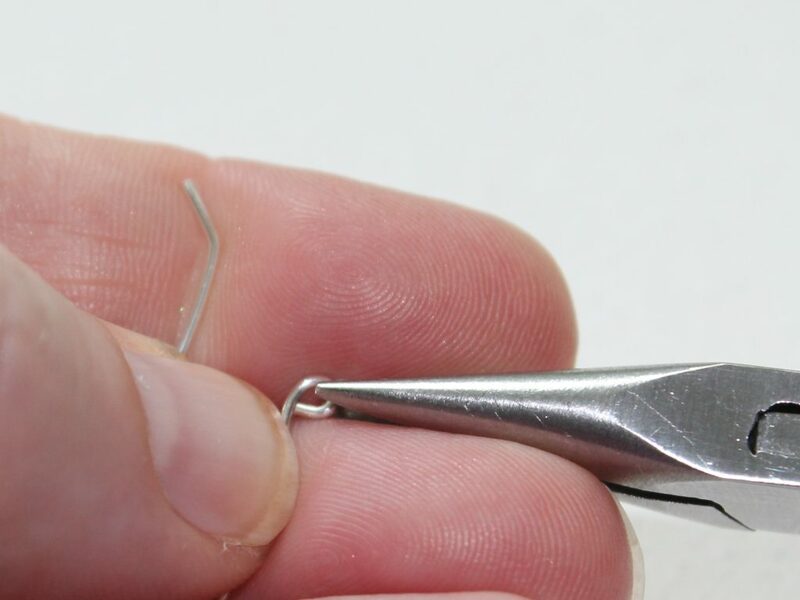 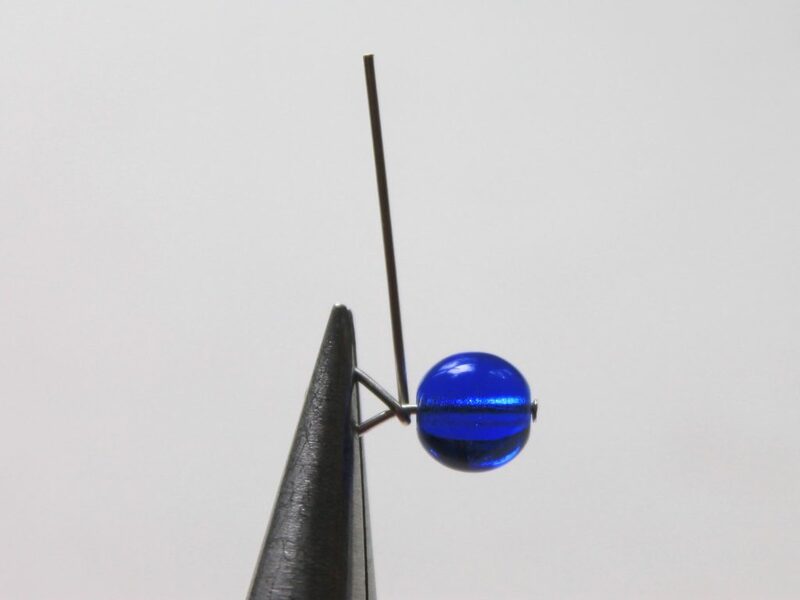 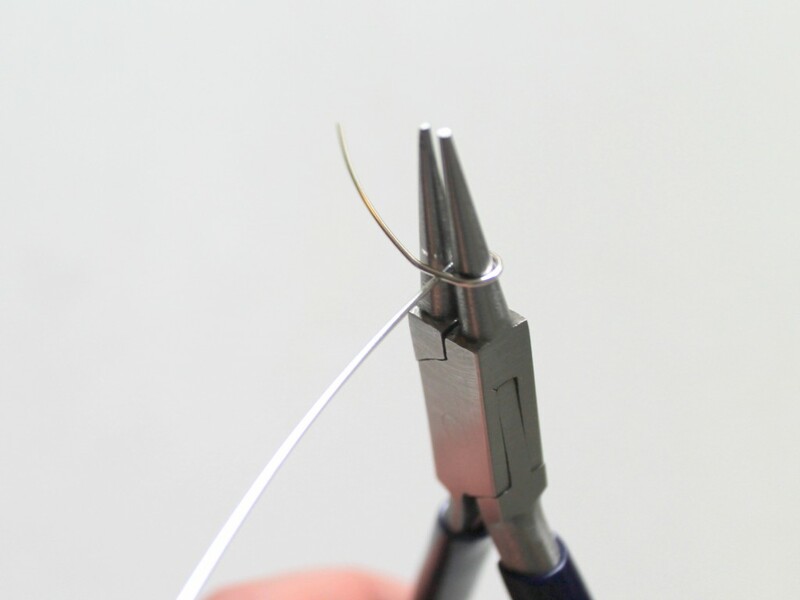 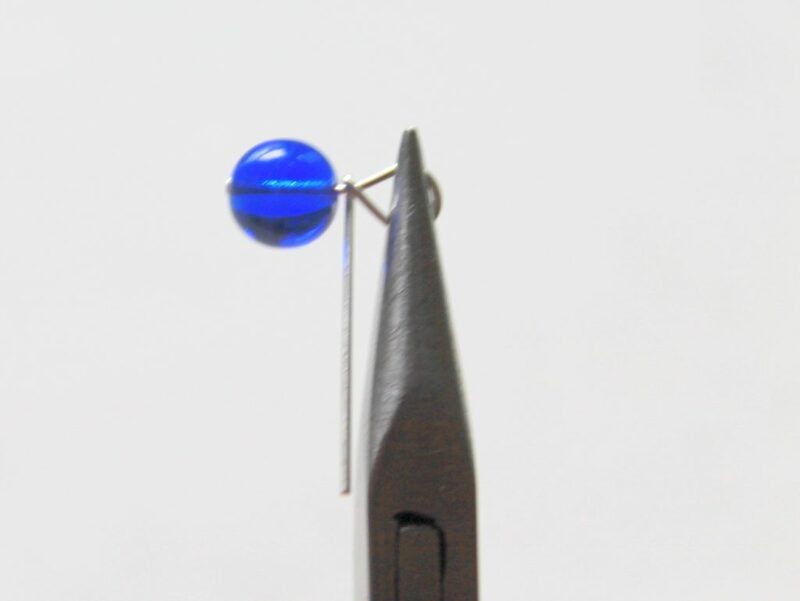 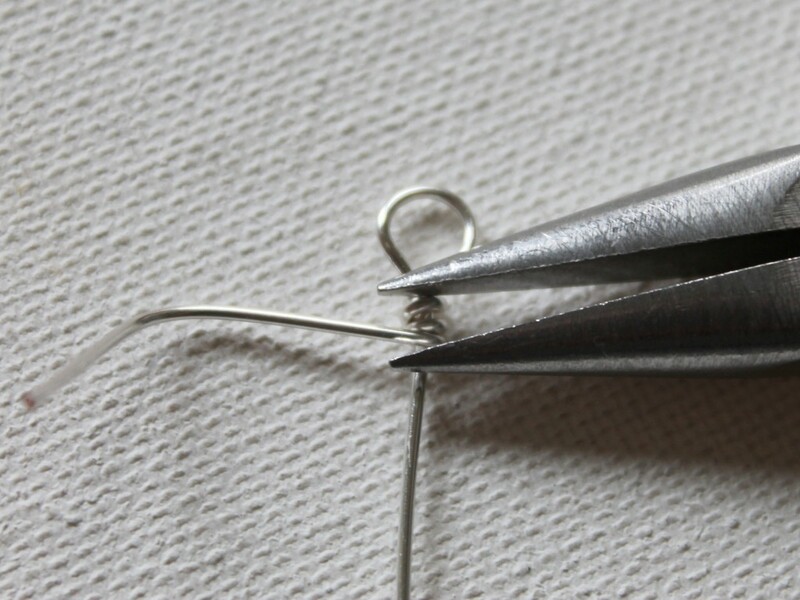 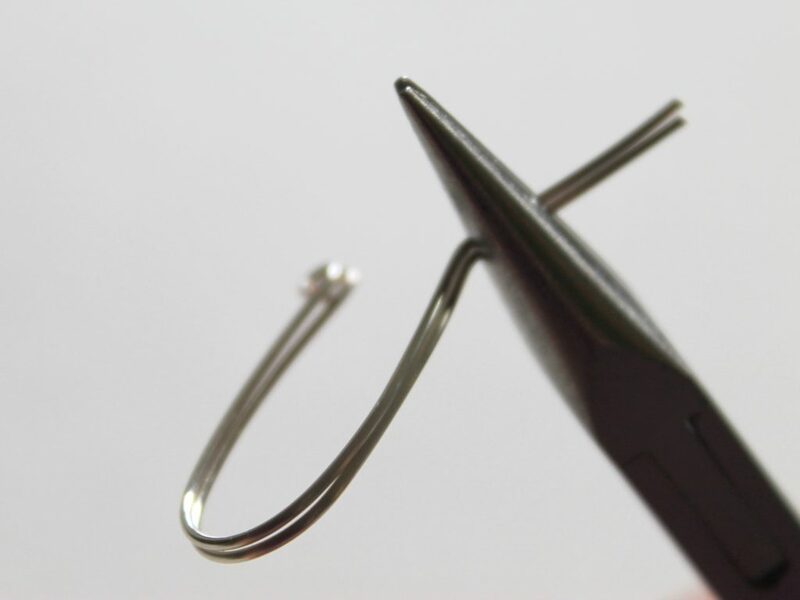 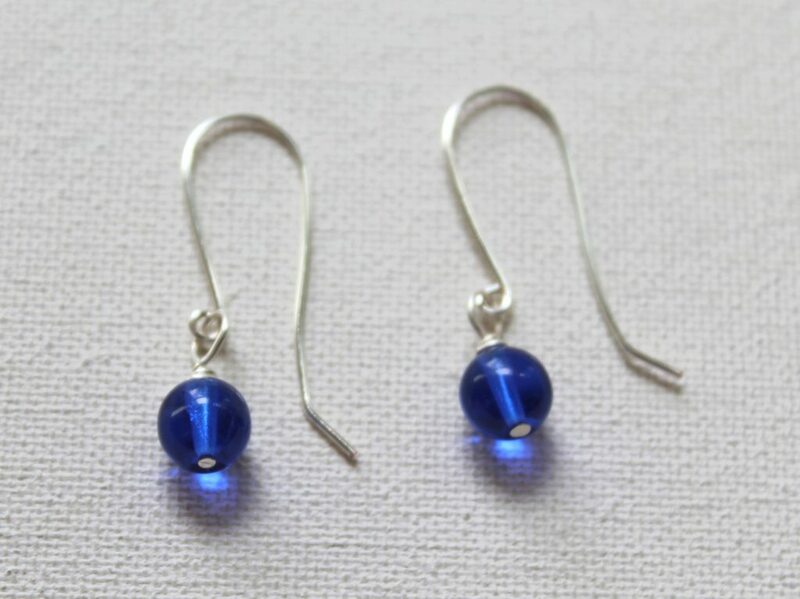 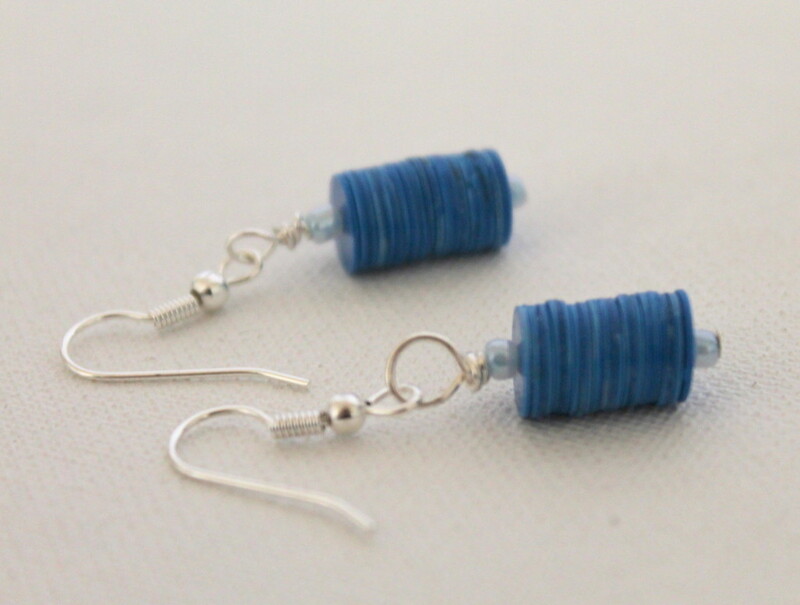 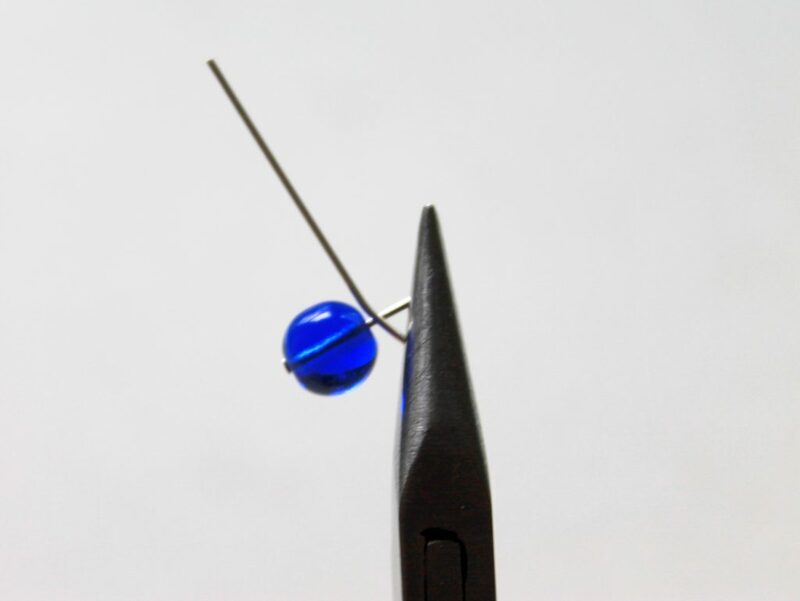 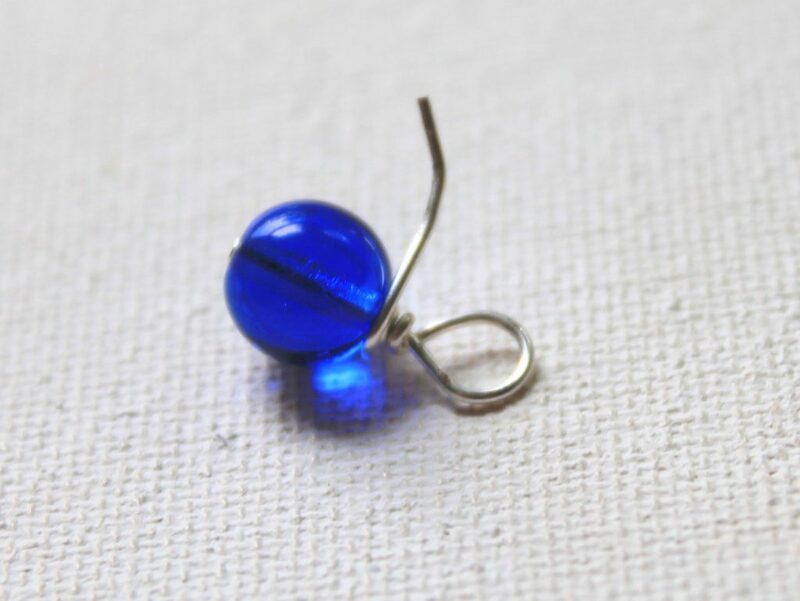 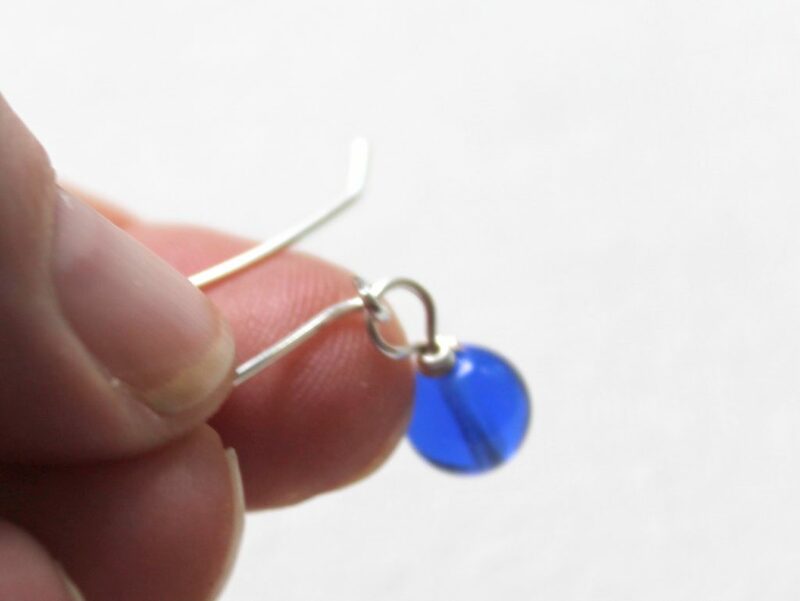 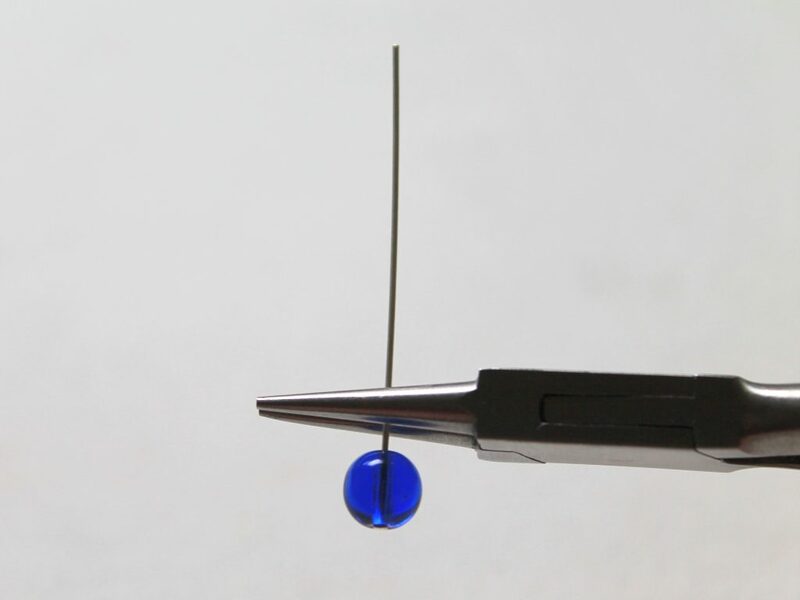 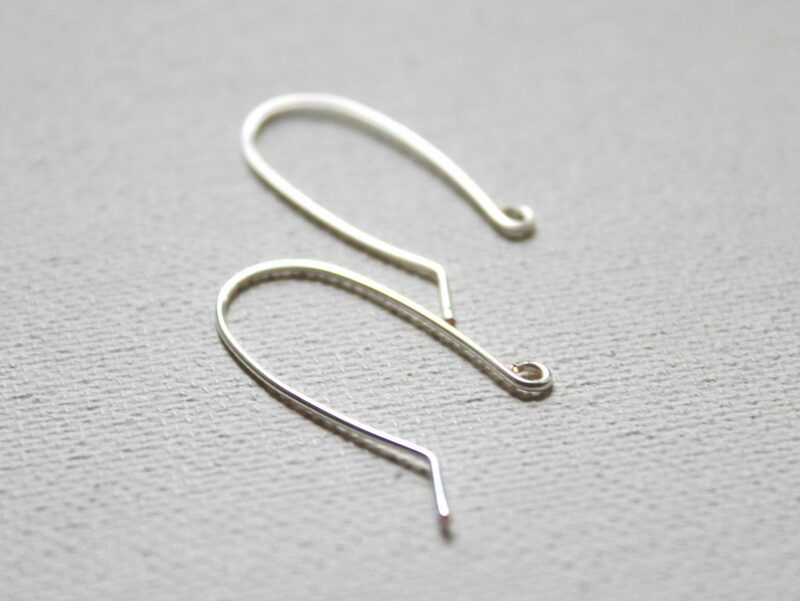 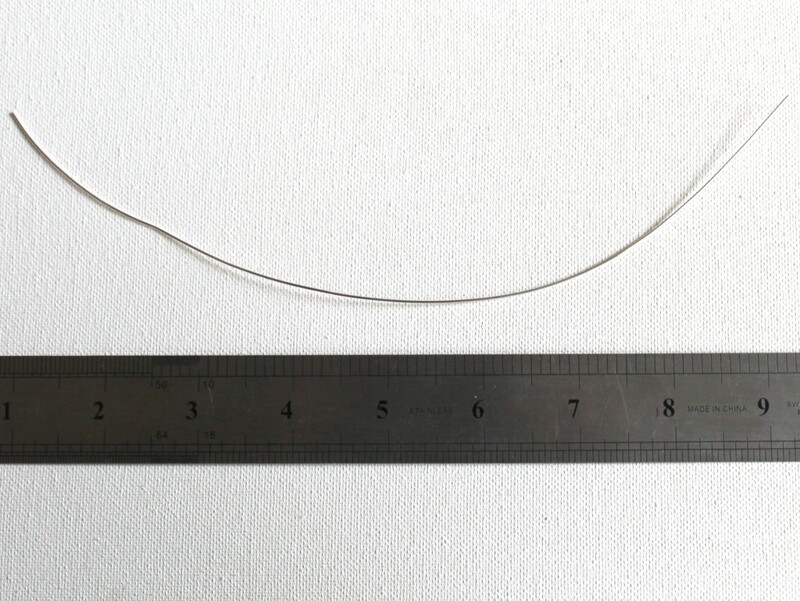 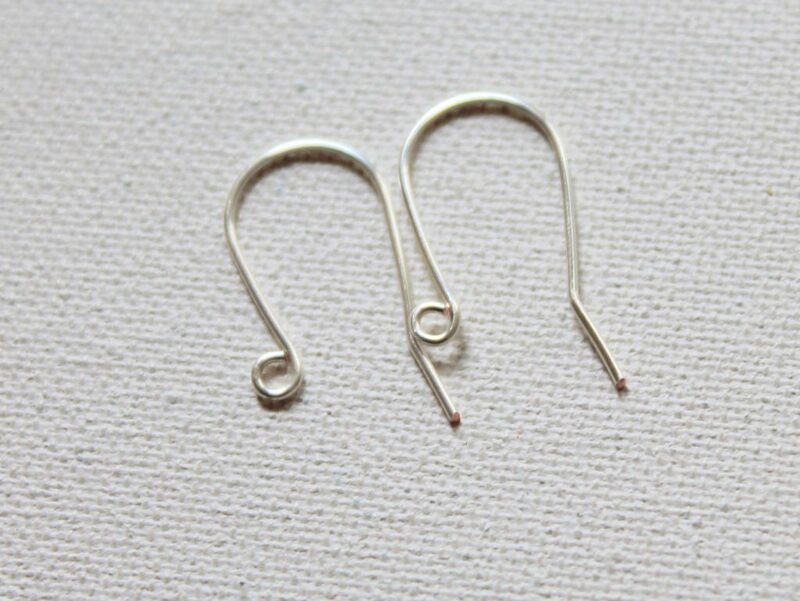 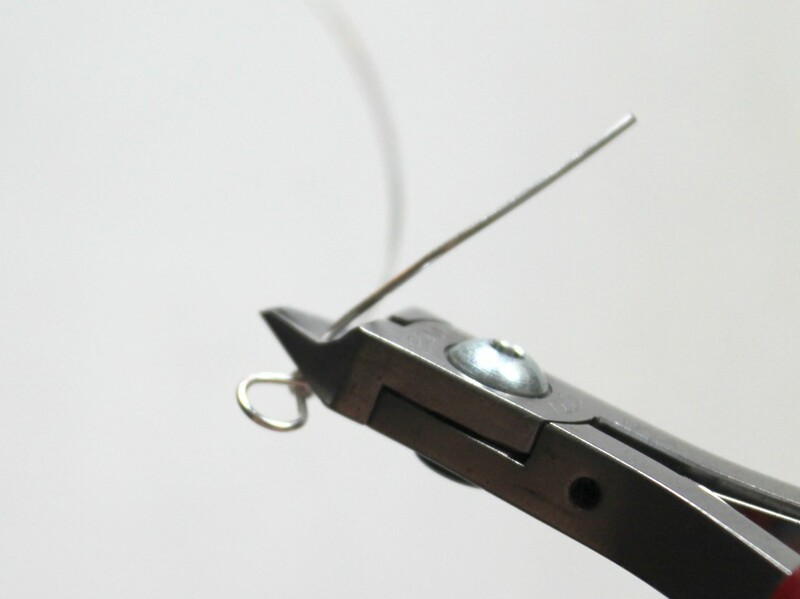 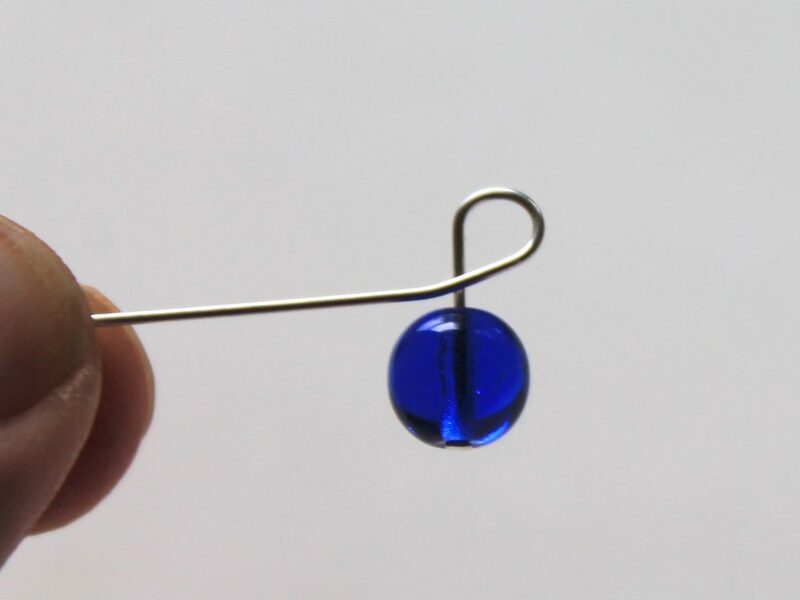 However, when you’re making earring wires, you need to make sure to round the wire that will be going into your ear. 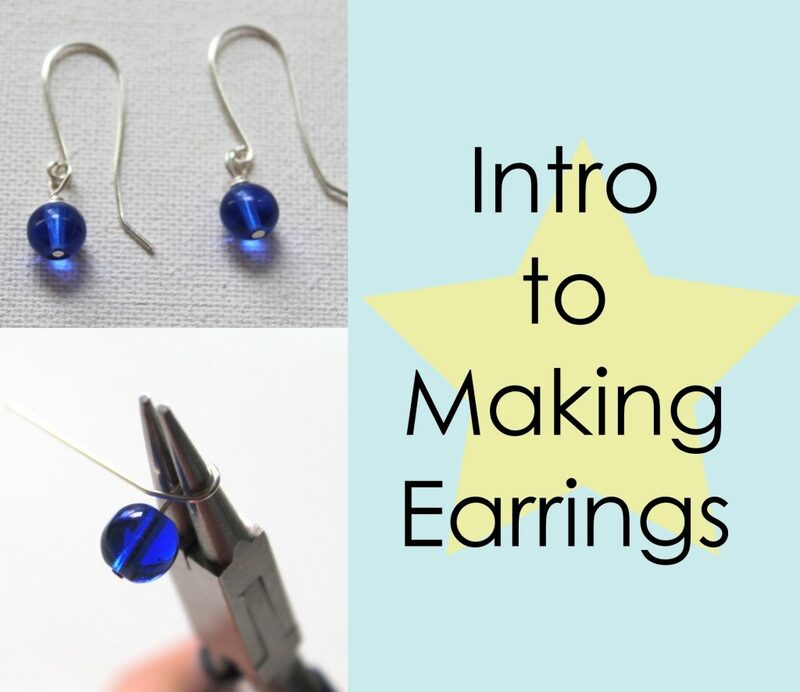 I have a brand new eWorkshop! 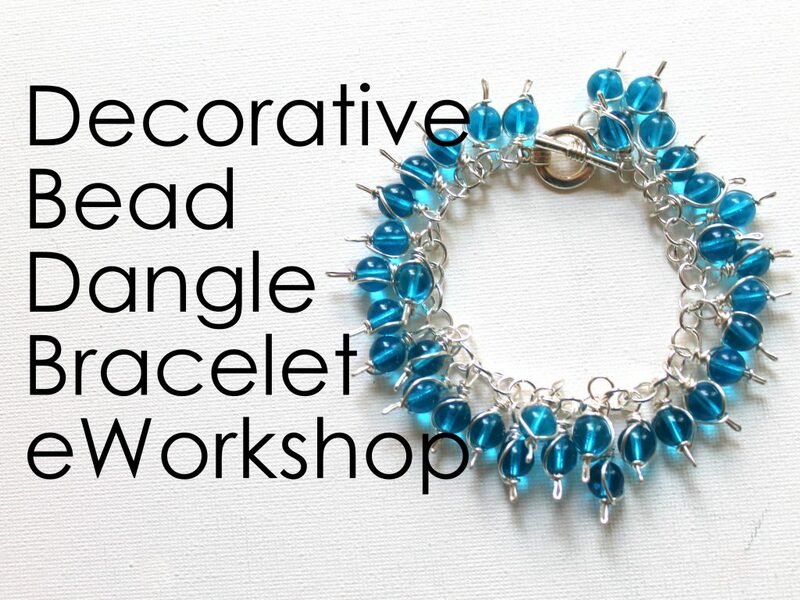 The Decorative Bead Dangle Bracelet eWorkshop. 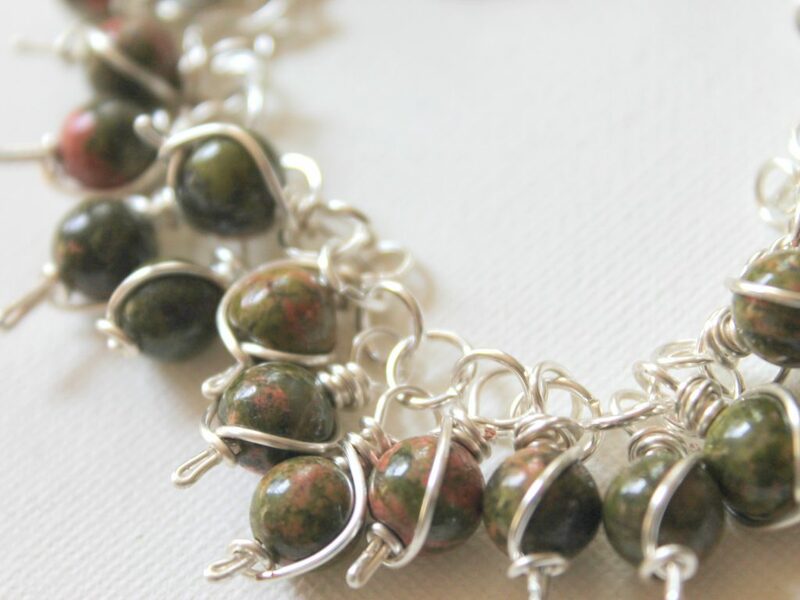 You’ll learn how to make a fun decorative bead dangle and then put them together to make a unique bracelet. 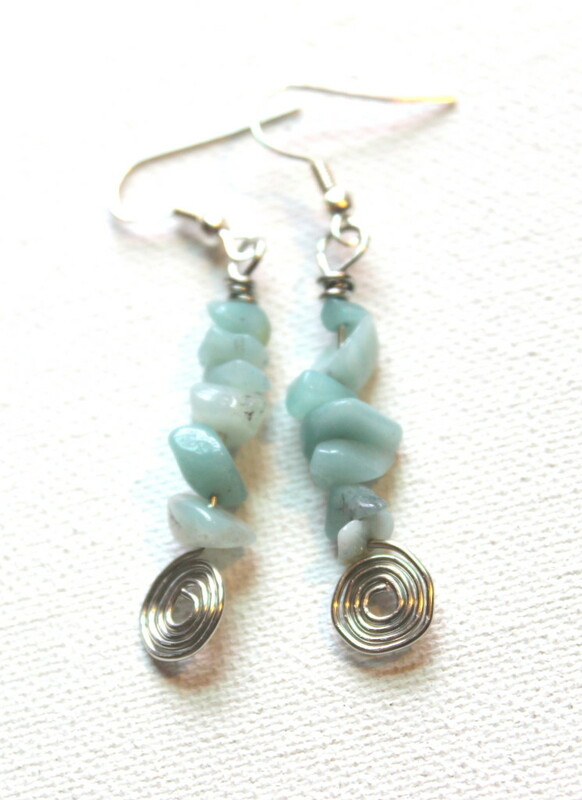 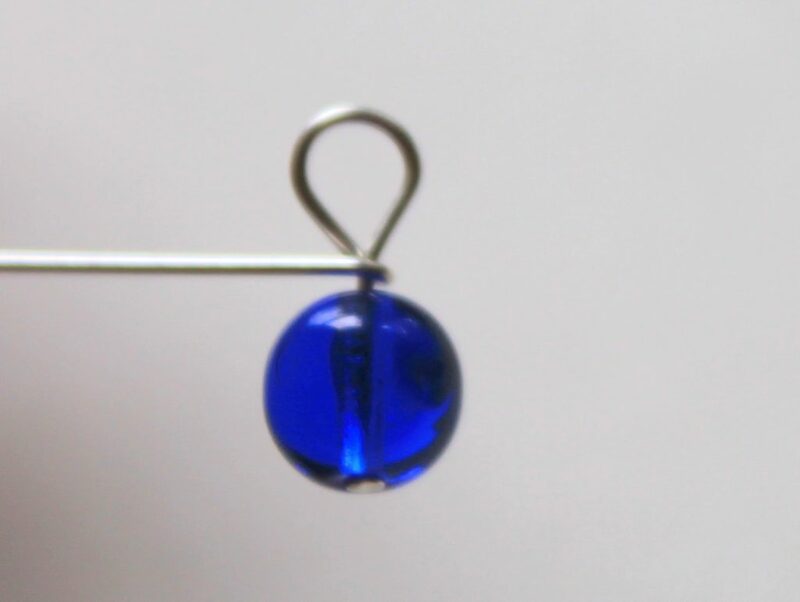 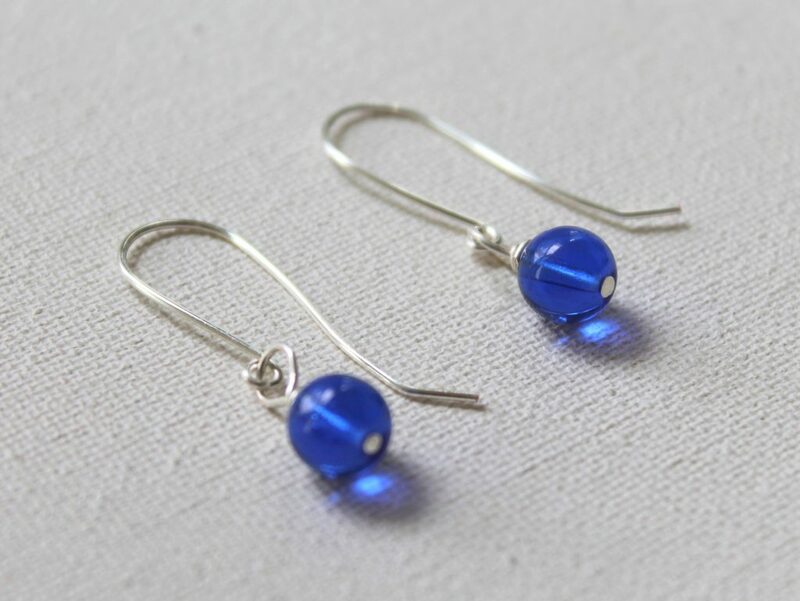 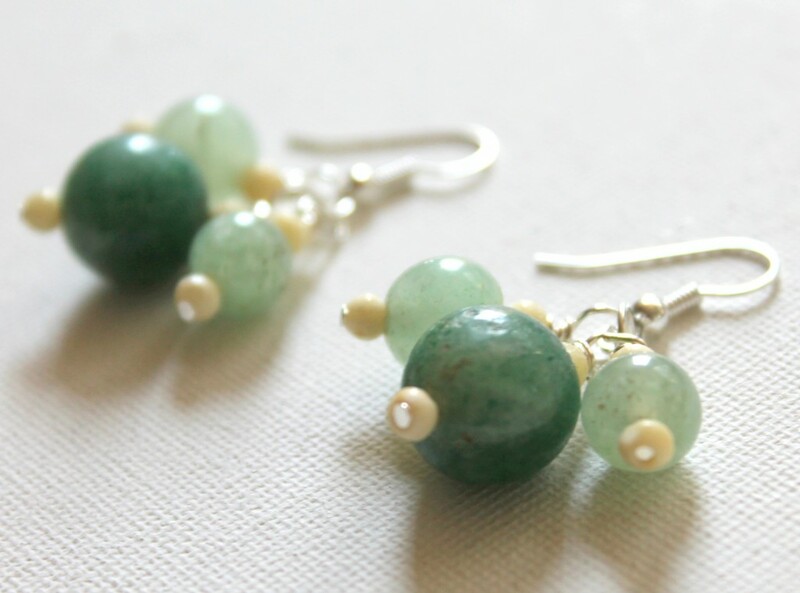 This workshop is great for building your confidence in your wire wrapping abilities because you’ll be repeating the process over and over again with the bead dangles. 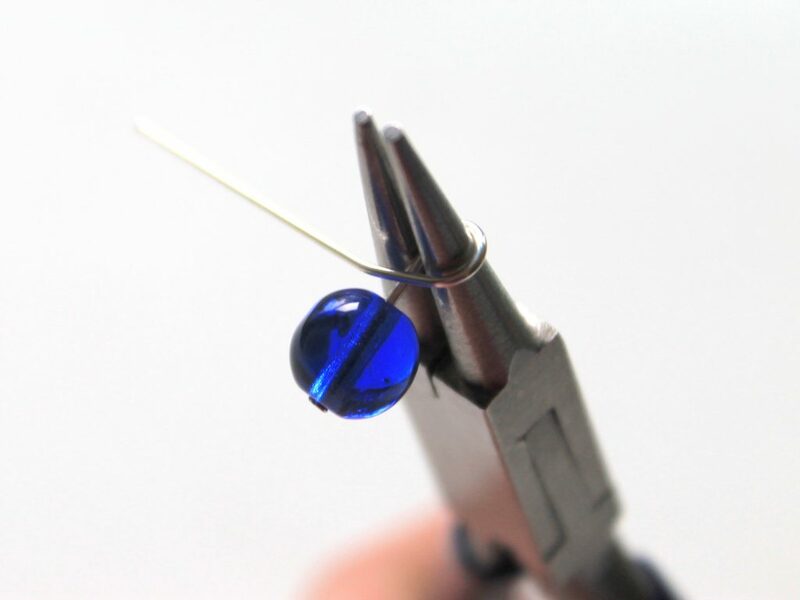 It’s a workshop that takes place completely online. 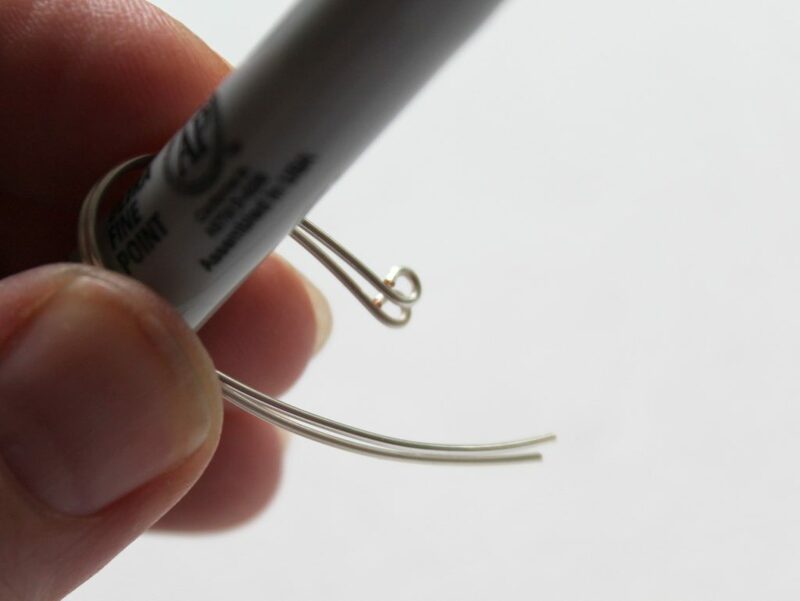 You get a video and a PDF eBook with step-by-step photos and instructions. 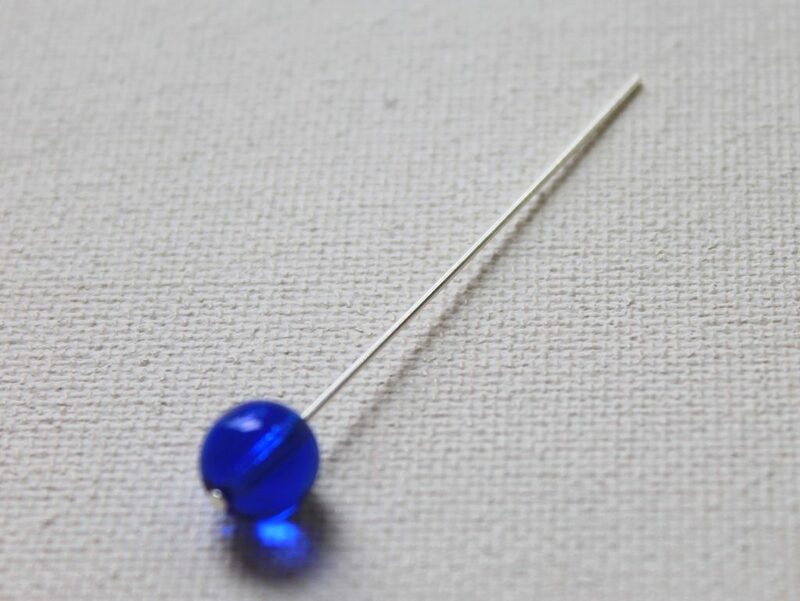 Ask me any questions along the way. 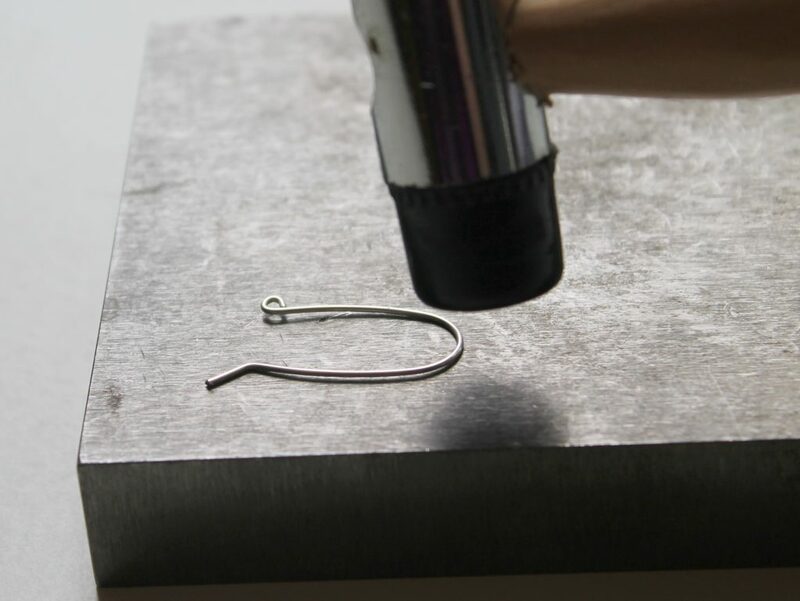 It’s like an in person workshop, but better because you can take it any time you like in your own home. 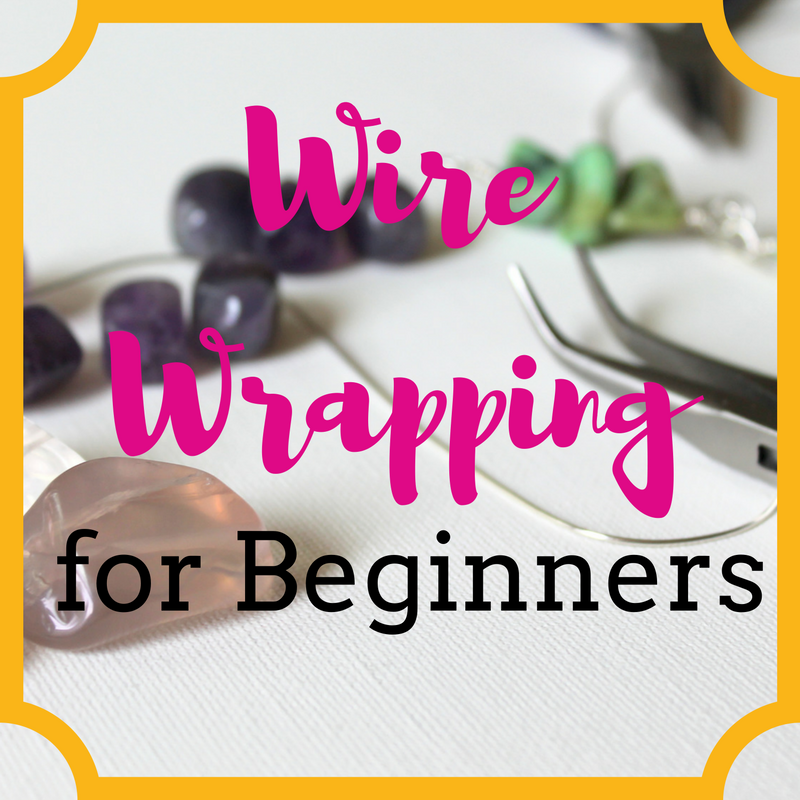 Express your creativity and have fun building your wire wrapping skills with this new eWorkhop. 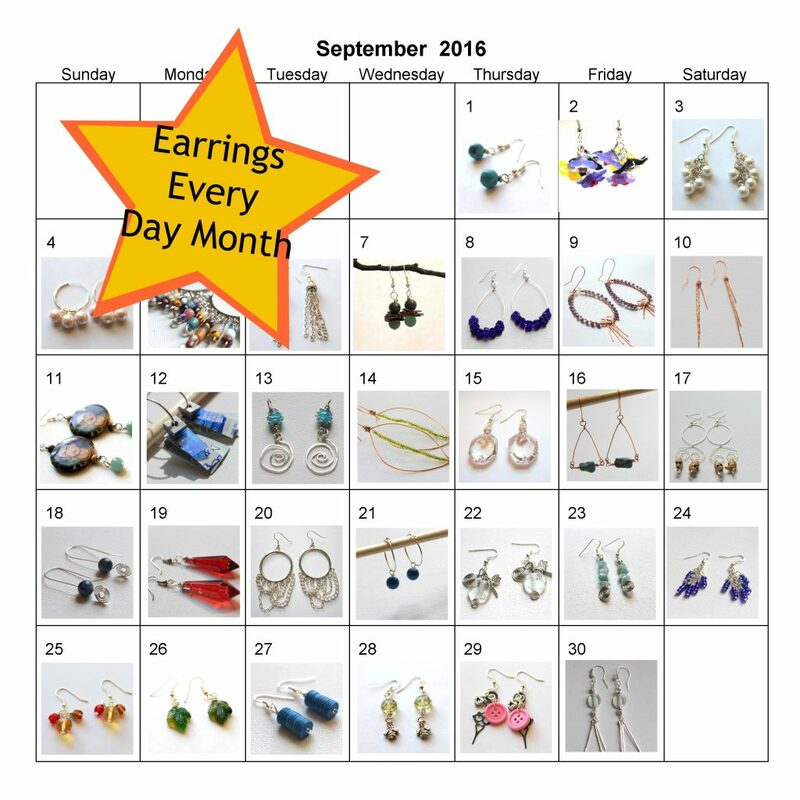 Available now at the early bird pricing for a limited time. 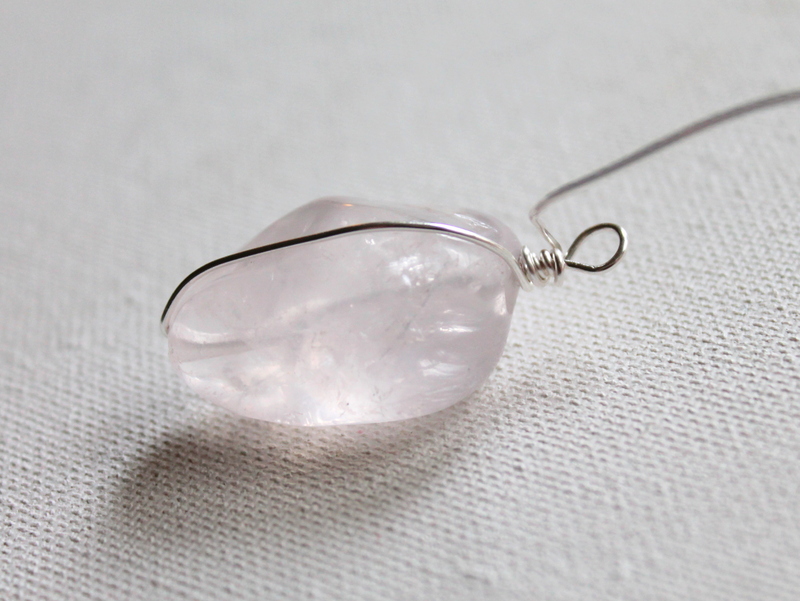 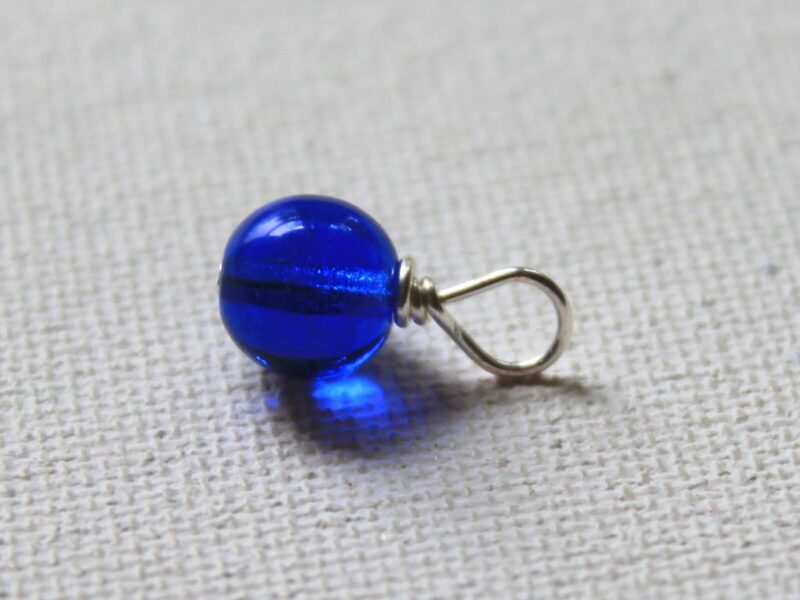 Make this quick and simple pendant, add it to a cord or chain and you have a beautiful necklace. 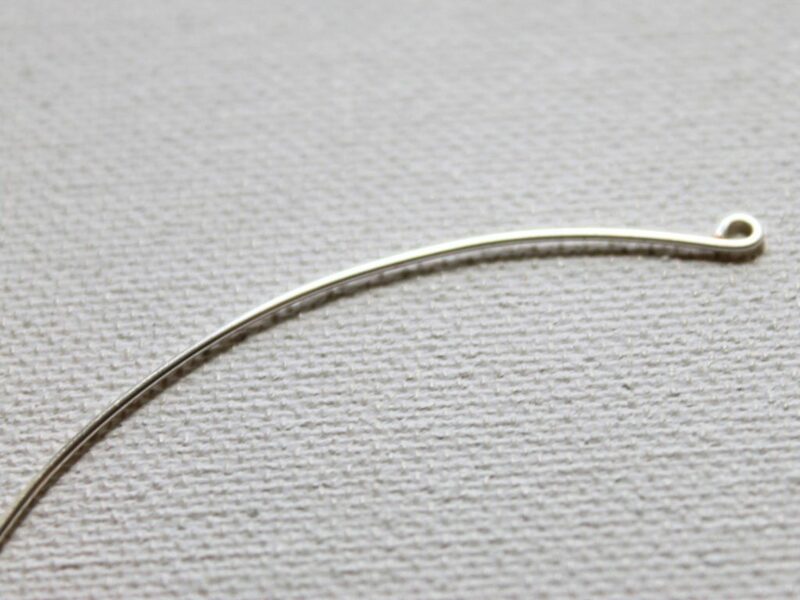 I like to make my chain long for an easy, flowing look. 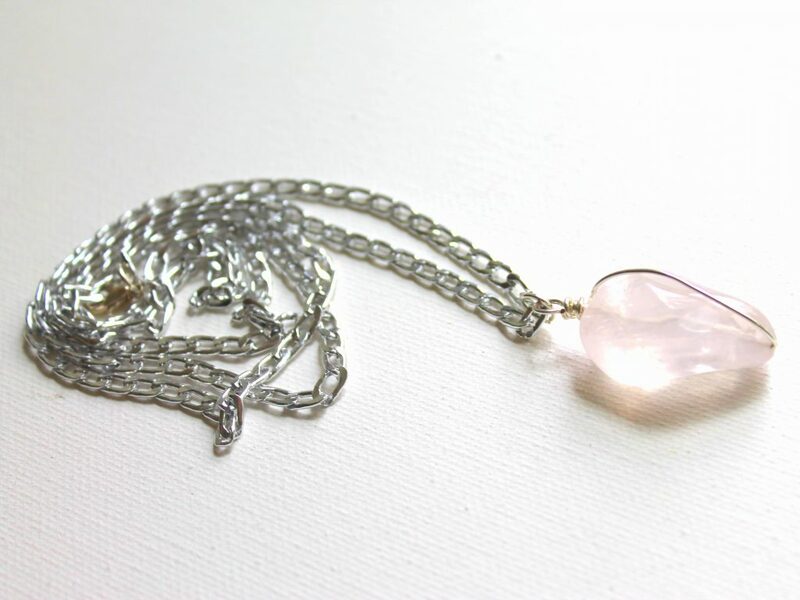 You can use a shorter chain to really show off the pendant more. 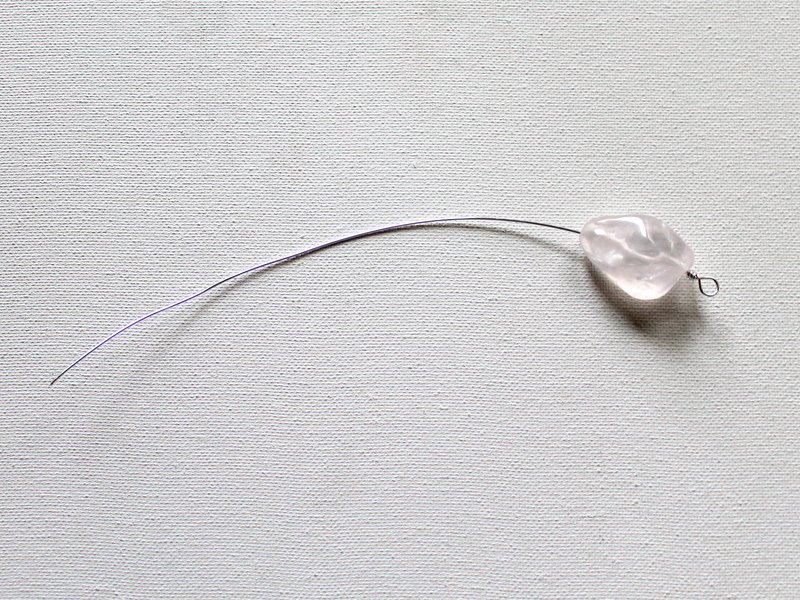 You may remember this technique from the Chunky Rose Quartz Necklace Tutorial that I shared previously. 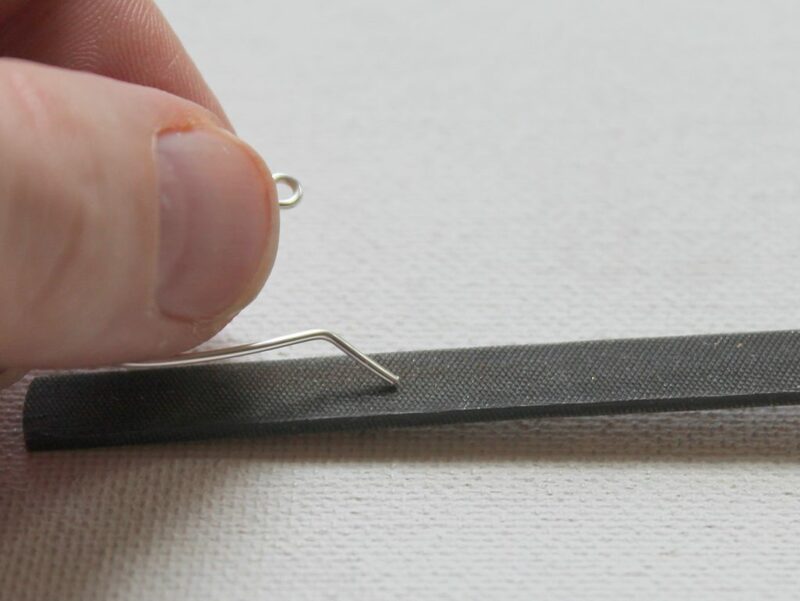 If you’re looking for more of a challenge or a bigger project, check that out. 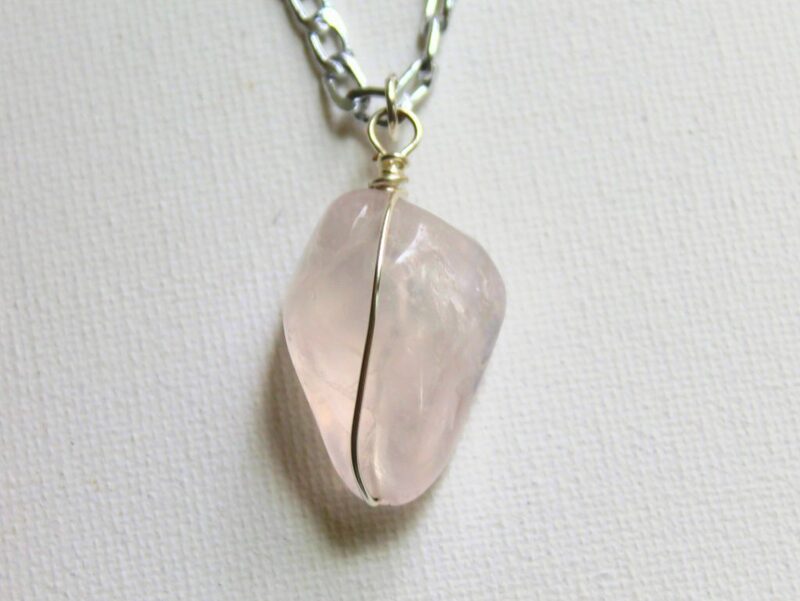 A chain or cord to place your pendant on to wear it. 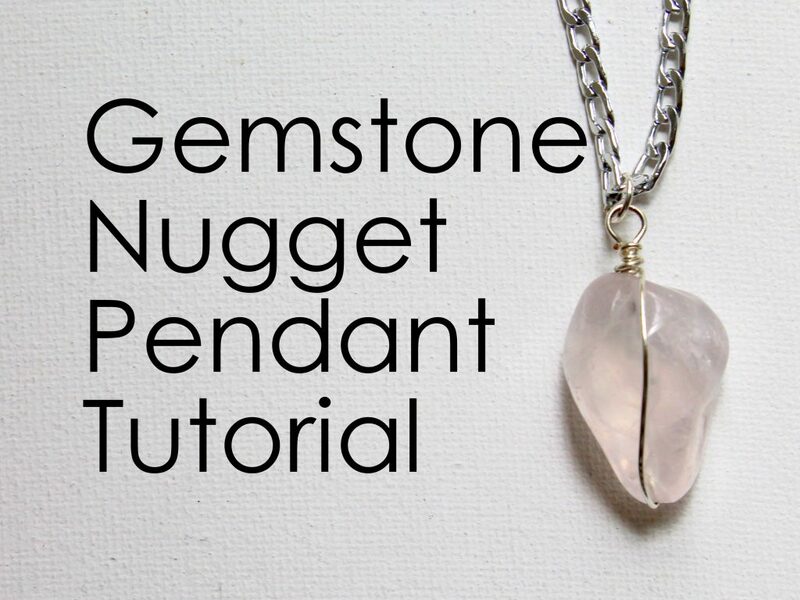 If you use the same gemstone nuggets I linked to above, you will need about 10 inches. 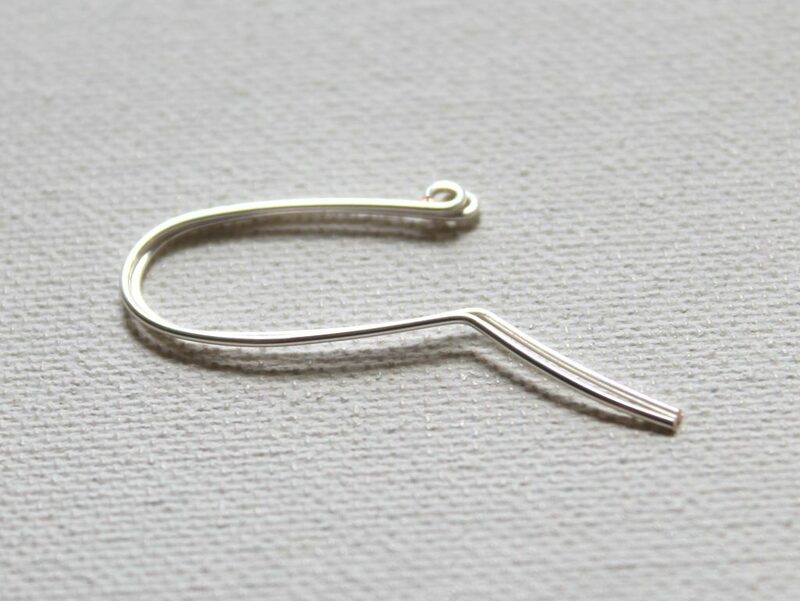 The length will vary if you use a different size than I did. 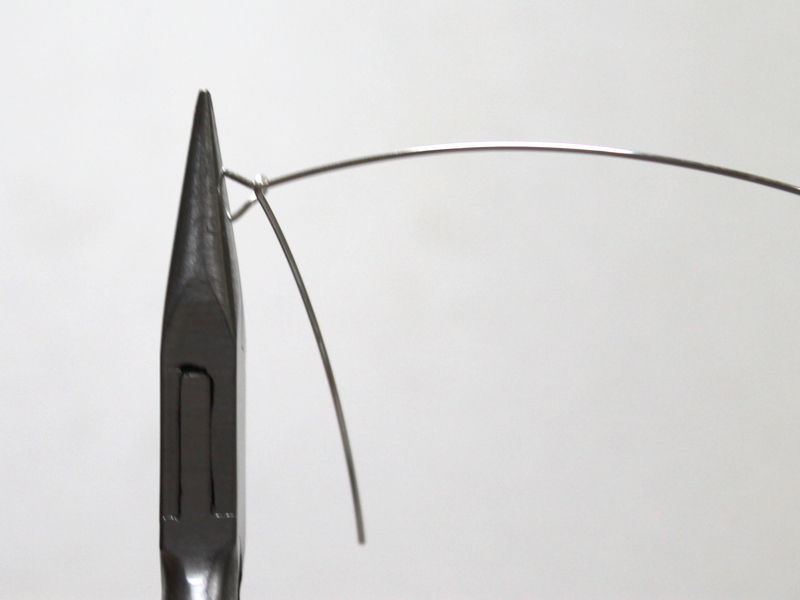 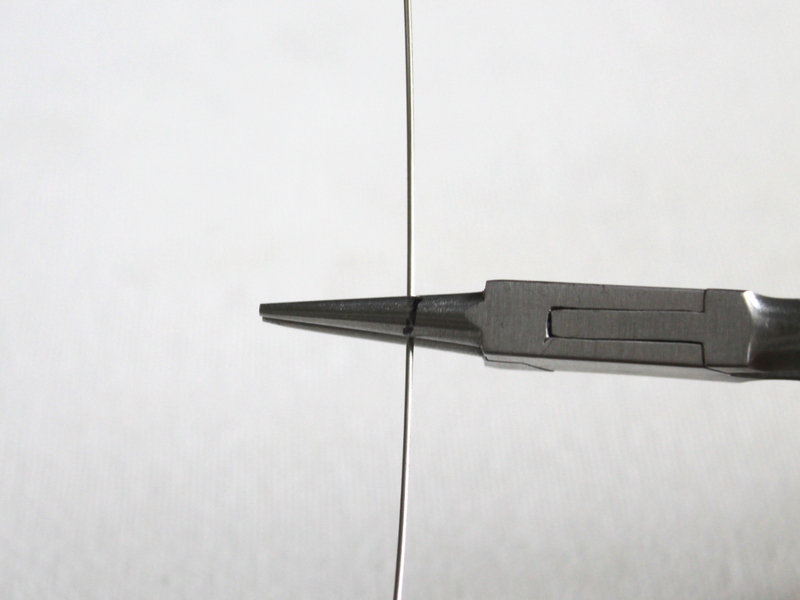 Hold the wire in round nose pliers about 1 1/2 inches from the top. 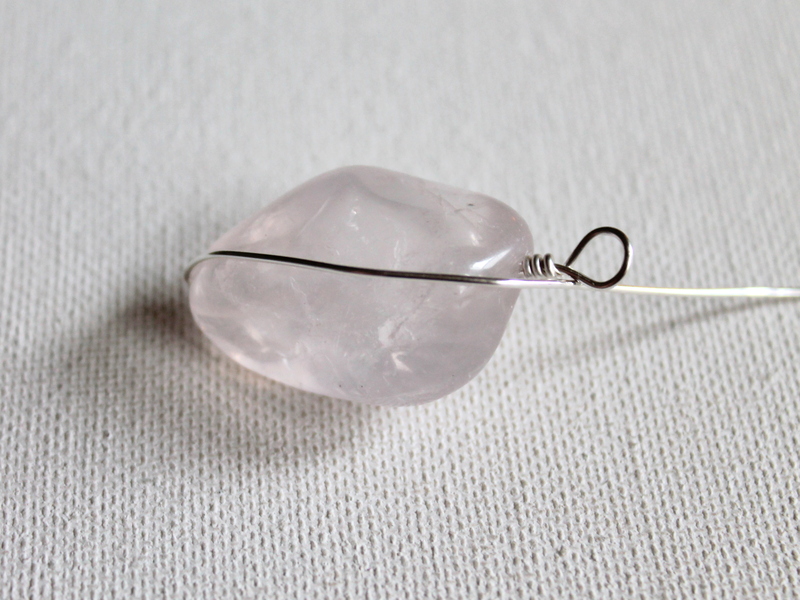 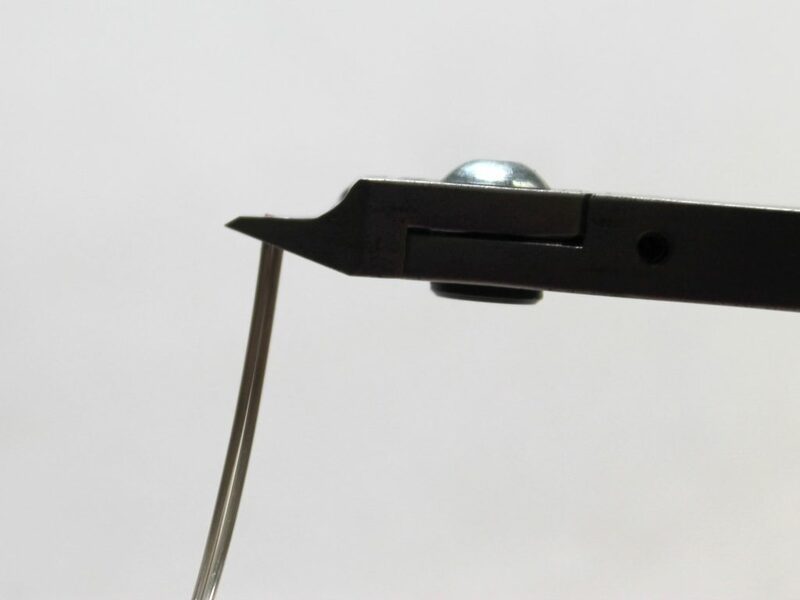 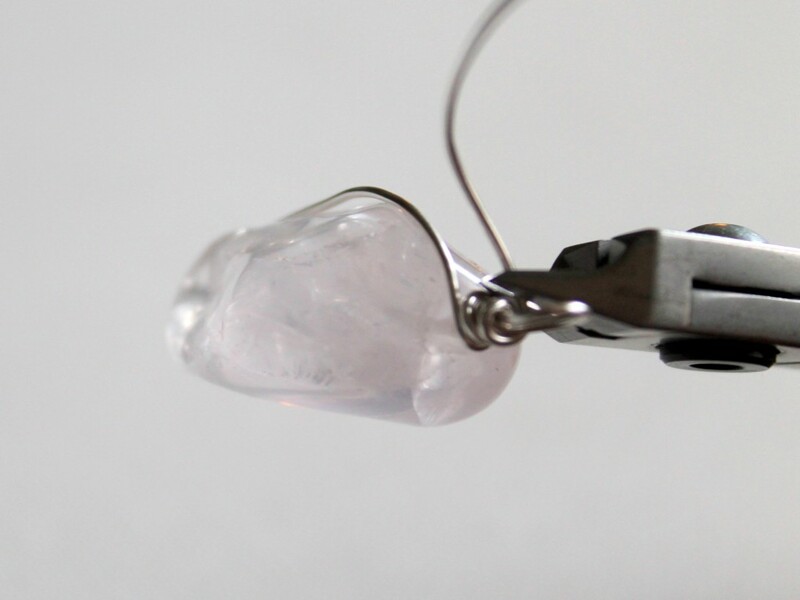 Slide a large quartz nugget gemstone onto the wire. 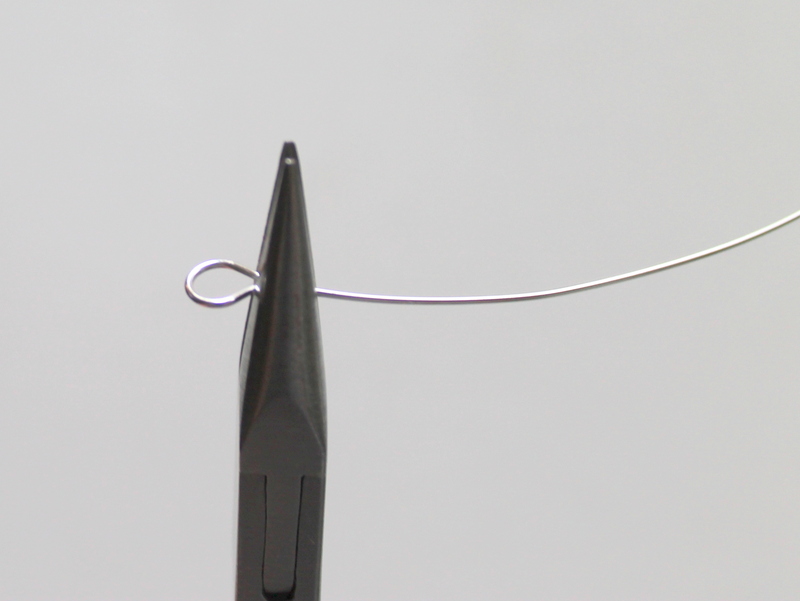 Pull the wire back up across the bead. 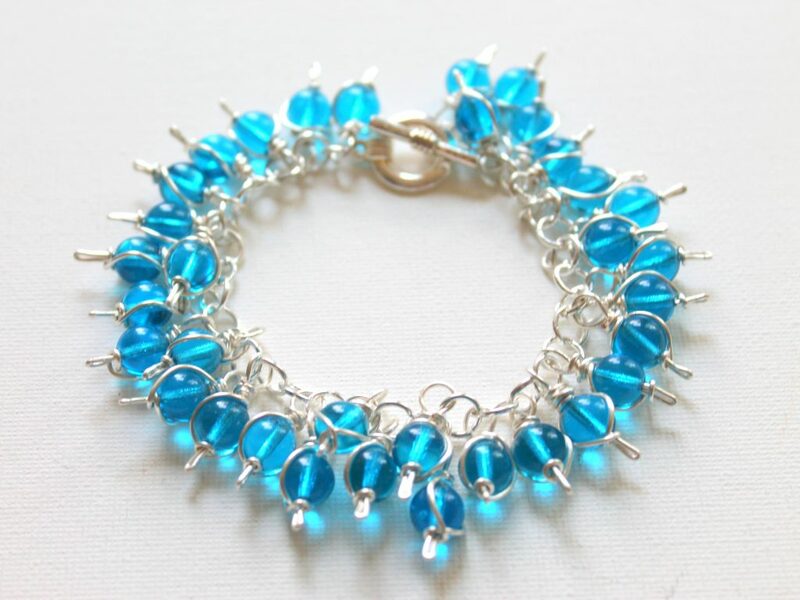 We’ll just have wire on one side of the bead, so choose which side you would like to have as the front. 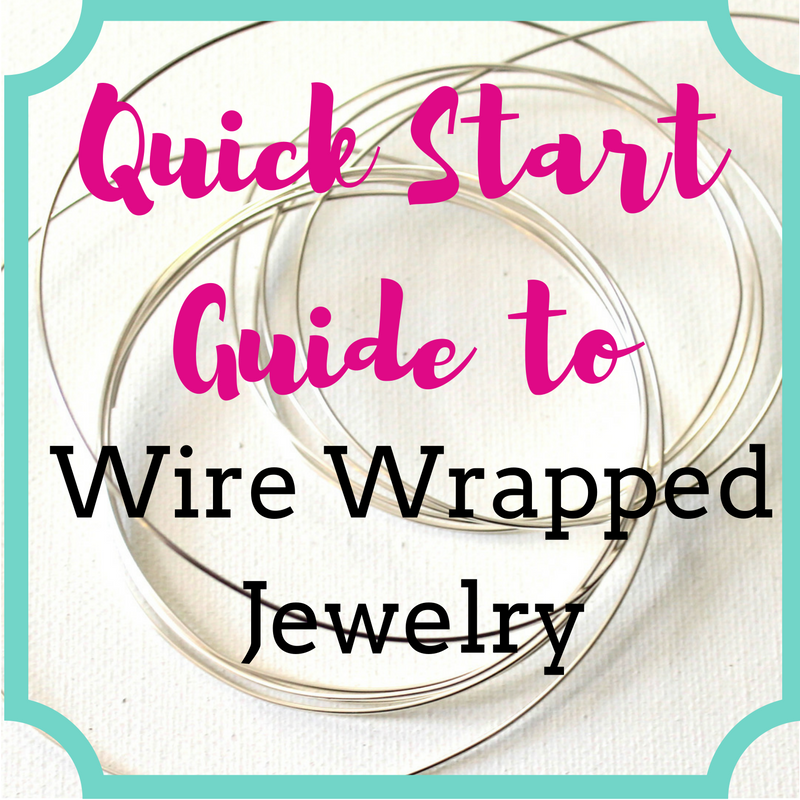 Wrap the wire around the previous wraps you made a few times. 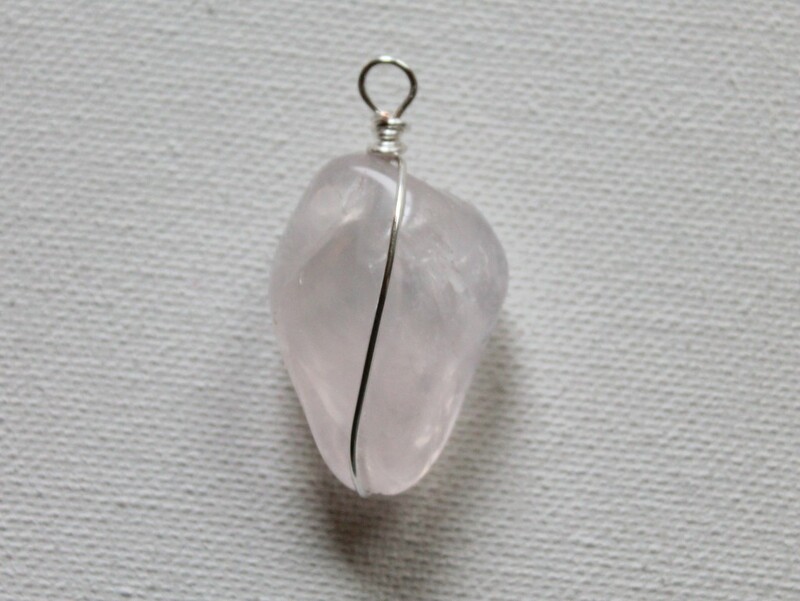 Simply slide this onto a cord or chain of your choice and you have a necklace! 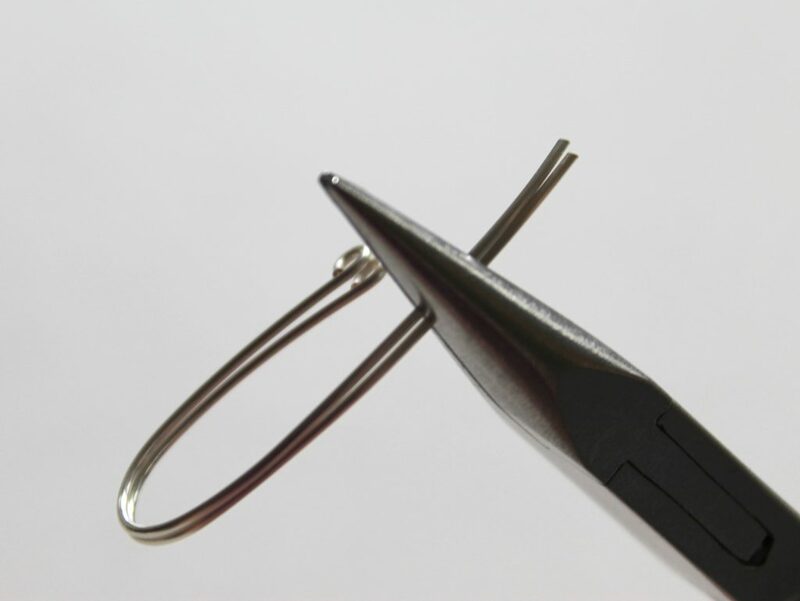 Hint: Use your chain nose pliers to position the loop on top so that the pendant hangs correctly on the the chain or cord. 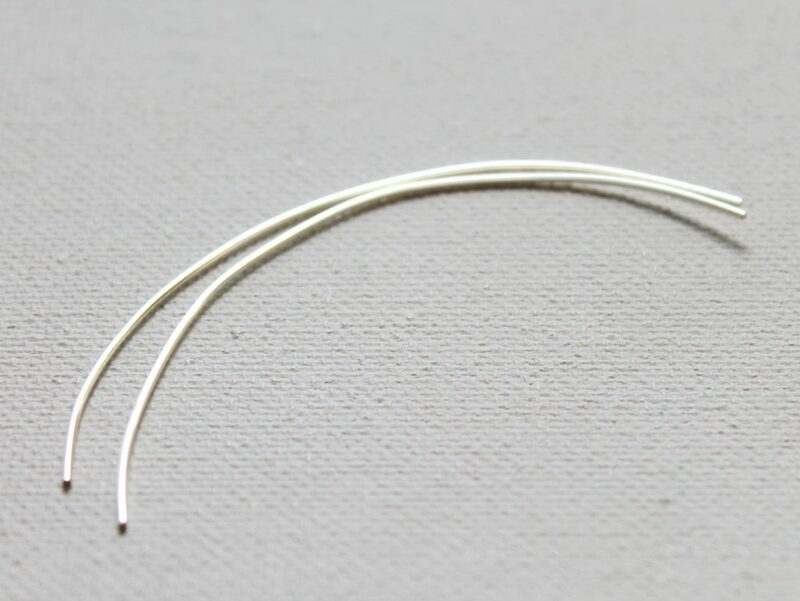 Alternatively, you could use a jump ring to attach the pendant to a chain, which is what I did. 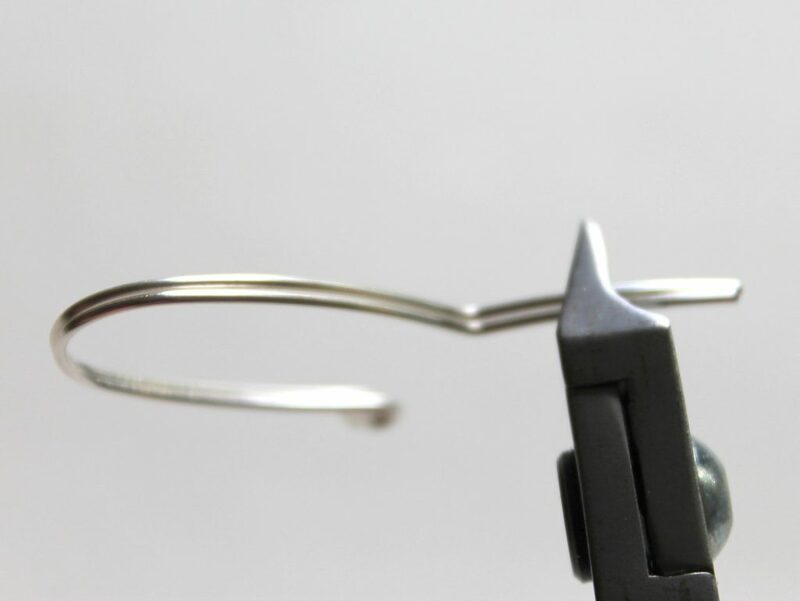 You can either attach a jump ring and slide the jump ring over the chain or attach it with the jump ring to a link in the chain. 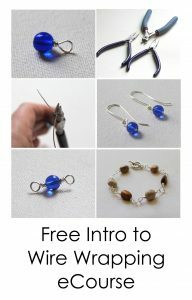 Sign up for my weekly newsletter and get instant access to my FREE Intro to Wire Wrapping eCourse!